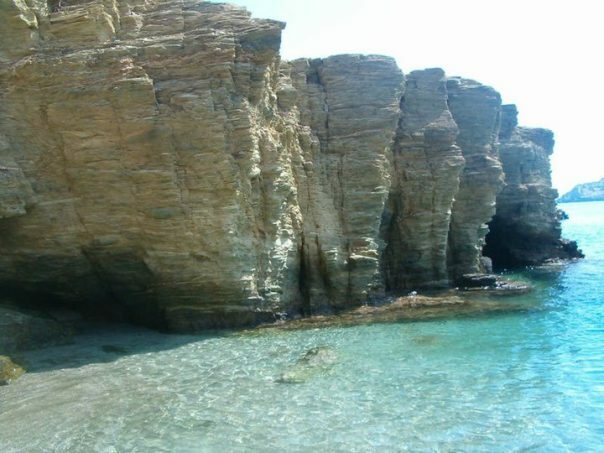 Psaromoura beach is 29km north of Heraklion city and 500m away from Agia Pelagia. It is a small beach with clear waters and relaxing atmosphere, very popular to locals. Showers, umbrellas and sunbeds, parking, cafe, snack. * There are no accommodation and dining options right on the beach, but within walking distance (about 800m). There are many umbrellas and sunbeds along its length which unfortunately leaves no alternative for those who do not wish to pay. **Psaromoura is more protected from the north winds which blow in the area. After about 28km, follow the signs to Eva Mare Hotel. 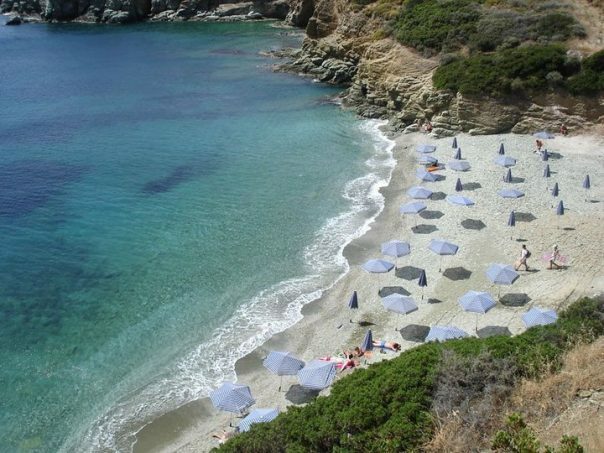 **Psaromoura beach is accessible from Heraklion with three daily public buses to Agia Pelagia during the summer months. When you reach Agia Pelagia head up the road at the left of Hotel Capsis until your see a supermarket called “STAR” and then turn right and follow the road till the end.